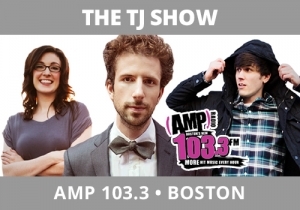 Cardi B has her baby and The TJ Show, AMP 103.3, Boston has a reply! As TJ always does, it’s both relatable and highly innovative. My friends at Coleman Insights talked this week in their blog about the three T’s of content: What is your topic, what treatment will you give it, and what will be its tone? We preach all the time to be on the biggest topics of the day, and doing something with them that both fits the show and is different for the market. TJ and his team do that here first with a highly known topic (Cardi B having her baby) that requires no effort to follow as she’s very familiar. Their treatment is to debut Cardi’s new “songs” (which are nursery rhymes). The tone is humor, which is the most important attribute because listeners wake up wanting to have a great time. Enjoy an excellent execution of Coleman’s three T’s of content.